I'm a big fan of the work of Isabel Minhos Martins. She writes with such honesty and metaphysical complexity--but in a way that's beautifully configured for a young audience. Her books often cover the everydayness that is life--its simplicity and earthiness, it's matter-of-factness (that kids love so much). Expressive, informative and creative, Coming and Going is all about the way things are--the way mankind has morphed through time to reach epic consumerist proportions, and how nature simply goes through its cycles. Life and its parts are always on the move--ever coming and going. There is a poignant contrast between man and nature in this book--with subtle hints at the way we have plundered our planet and are in constant need of more, more, more, while a simple butterfly, or a tree, takes so little. Part fact book, part philosophical meanderings, Martins beautifully expresses nature's reliance on nothing or no one, other than itself. In this way, the future of mankind rather than that of planet Earth, is hauntingly worrisome. Striking, modern, truly brilliant illustrations by Bernado Carvalho are beyond eye-candy. They not only show children how diverse and expressive art can be, they are a fiesta of overlapping block colour and concept they will simply adore. 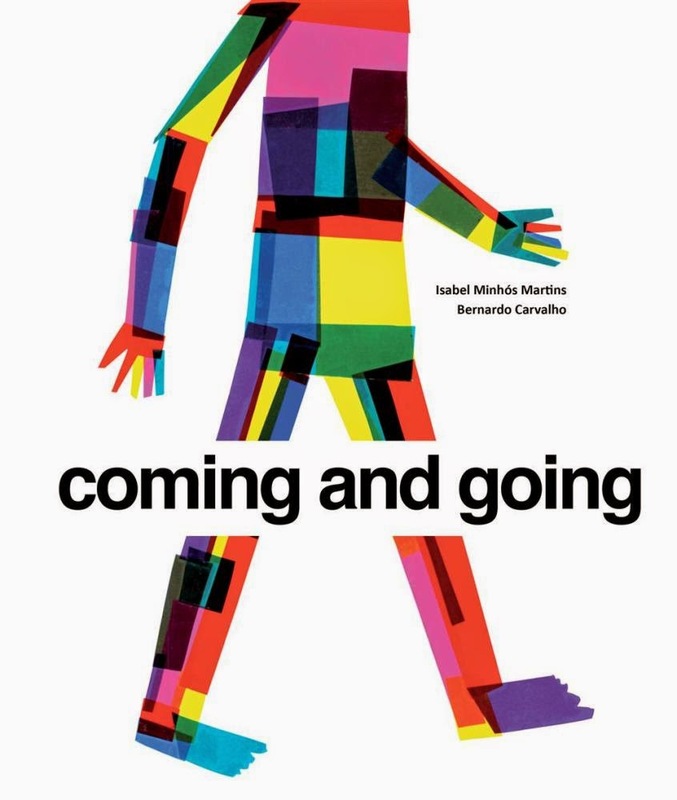 Carvalho's illustrations for Coming and Going were recently shortlisted for the Illustrarte Award for contemporary illustration for children.